The holiday season is here, and that means it is time to prepare for all of the celebrations that make this time of year special. Part of those celebrations includes the exchanging of gifts with co-workers, family, and friends. There are few things that say “thank you” or “I love you” as effectively as that perfect gift. Why not add a little extra gratitude with some creative gift packaging designed to catch their attention? 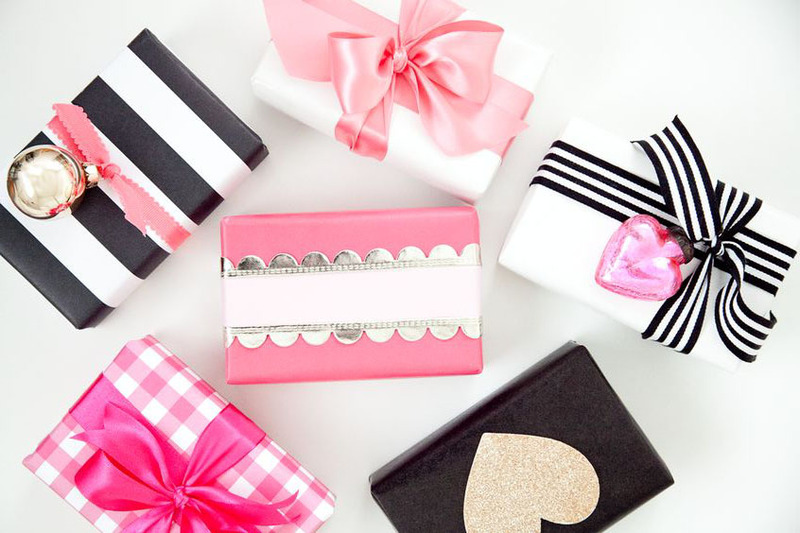 What follows is a few Christmas gift wrapping ideas that will put a smile on everyone’s face. Office parties will often call for an exchange of gifts, and in these moments you will want to offer a present in a way that balances a personal touch with professionalism. A simple gift packaging idea that offers both is carrier bags. Select a neutral colour carrier bag. Choose from a lovely variety of printed tissue paper at Wrap it to add something more to the plain bag. Secure the handles together with tags and other embellishments that represent activities, causes, or other interests that are important to the individual. This packaging states they are more than just another face at the office. Another event that can challenge your Christmas gift wrapping ideas is a party hosted by friends or neighbours. You want to show up with something but you also need to keep your gift presentation simple for spouses and children that you may not know. Use a small wire handle box for each gift, filled with straw or coloured filler that the gift can nest in. Use candy bags for offering sweets to children. Include a greeting card for the entire family. The clever use of a carrier bag not only makes it easier for you to arrive with everything in one hand; it is a subtle way to offer gifts to the entire family without showing favouritism towards the friend or neighbour that you know. Some of us struggle with finding the time to wrap our presents. There are even more people that labour with wrapping gifts. A perfect solution for either of these scenarios is gift boxes. Use a box that is larger than the gift. Place straw or coloured box fillers that do not clash within. Surrounding the gift with filler adds protection and excitement when opening the present. Customize the box exterior with a pattern familiar to the individual, for example, the wallpaper of their favourite room in the house. Add extra decoration by securing the box with an elegant glitter ribbon or branded ribbon that says “Merry Christmas”. At Wrap it, you will find a stunning collection of ribbon for all occasions, let your creativity run wild. Jewellery and watches are a popular gift between spouses, and a little creative gift packaging will help express the proper level of intimacy. A PVC container not only wraps the present, it helps to display it. Secure the lid with lace or velvet ribbon to add a sensual texture to your gift. Make sure that the ribbon is not too wide so that you are able to take advantage of the clear lid that shows off the contents. This is a present that should be handed directly to your partner and not placed under the tree in order to avoid ruining the surprise. Christmas gift wrapping ideas take on a new meaning when a family member’s birthday comes around during the holidays. Make sure to use a larger box for birthday presents than you do for the others to distinguish how important their birthday is. Stick to red and green for holiday colours and use the loved one’s favourite colours for their birthday gifts. Custom branded ribbons that say “Happy Birthday” and “Merry Christmas” will help the presents stand out from each other. With younger children try to embellish Christmas items with tags and shapes that are holiday themed while birthday item embellishments should represent their favourite interests. 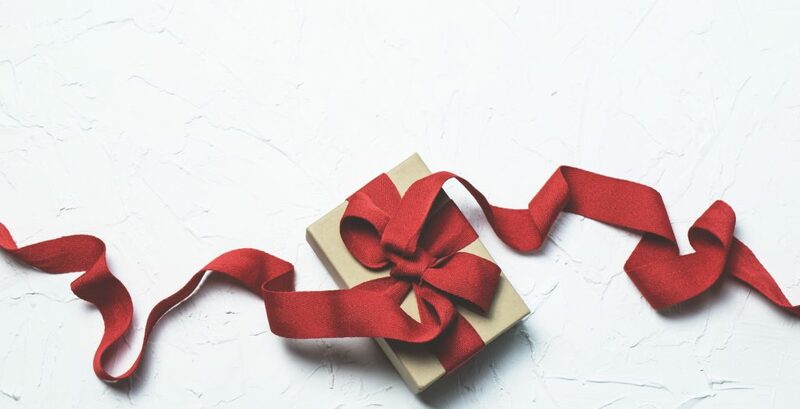 Creating a bow out of ribbon adds a unique touch to the presentation, regardless of packaging. Combine two different textured and coloured ribbons to tie a multi-coloured bow. Stack the ribbons and place them on a flat surface. Overlap the ends towards the middle, forming two loops. Adjust so that the loops and tails are the same proportions and then fold the left loop over the right loop. Take it around the back and through the centre hole. Pull tightly at the centre to form a knot and then separate the colours. With all of the extra shopping and events that you have to attend and prepare for, time is one thing that you cannot afford to waste. A final suggestion would be to locate a place where you can find all of these things together. Searching for a one-stop shop can save you time and money as well. Visit the Wrap it showroom to make this part of your holiday shopping more convenient. The great thing about places like Wrap it is that you can use their services for holidays and events throughout the year.